RTK Studios are tile artisans steeped in the architectural ceramic traditions of the early 1900’s. 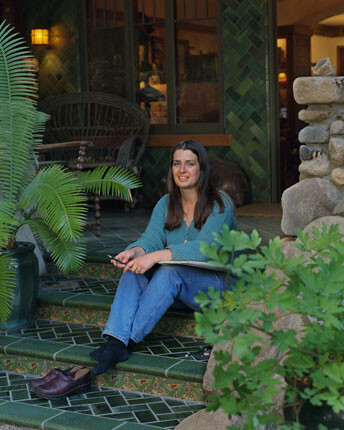 The partners, Richard Keit & Mary Kennedy have brought back the old world techniques of the exquisite Malibu Tiles, Catalina Potteries, and other tile replicas. The company began in 1979 with Keit leaving his position as a computer engineer to pursue his love of the arts. Tile design and production represents a merger of his artistic passion and his affinity for math and science. He has lectured on art and ceramics for LACMA, the American Ceramic Society; the Society’s first International Congress, Tile Heritage Foundation, Malibu Lagoon Museum, various schools and colleges, ceramic guilds and societies. Kennedy, an award winning artist, joined forces with Keit in 1989. She studied art at the University of North Dakota. She has created a series of limited edition tile murals and architectural tiling systems. Their combined technical and aesthetic teamwork have brought commissions from around the world. Marry Kennedy’s documentation took place in 2002. The FOTM Archive contains extensive information about this artist.